Traveling is already stressful enough as it is – getting everything booked on time, braving the daunting line at security and even worrying about making a connecting flight are concerns that most travelers face. Especially when you’re a wheelchair user, it’s important for you to get everything arranged and organized well ahead of time so you can avoid any unnecessary hindrances and begin enjoying your vacation as soon as you step out your front door. 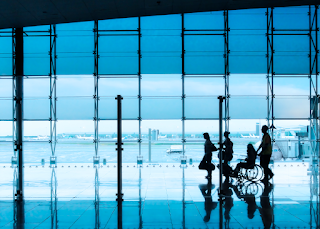 We’ve compiled a list of helpful air travel tips for wheelchair users that are sure to make your travel plans go off without a hitch! 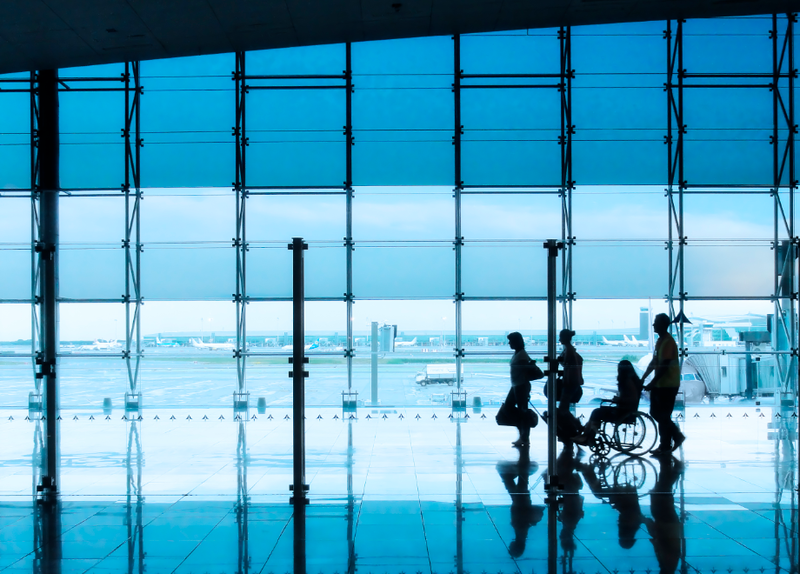 Book early – Booking everything from plane tickets to transportation and hotel rooms well in advance is a rule of thumb when planning a vacation, but it is especially important to do when you’re traveling with disabilities. Calling ahead ensures that your needs will be accommodated, whether it’s making your way through the airport to your gate or ensuring that the hotel you are staying in is fully wheelchair accessible. When booking your plane ticket by phone, you can request bulkhead seating at the front of the plane with enough space that makes travel more comfortable. 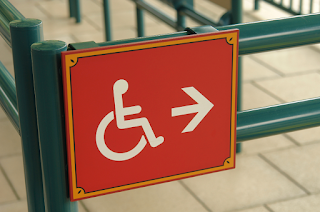 Equipment checkup – Before you embark on your journey, make sure that your wheelchair is in proper working order, especially if it’s electric. It is wise to find a wheelchair repair shop near your final destination in case of an emergency, but as long as you are sure your chair is in operable condition, you should be good to travel. When flying, we recommend using a carry-on bag to store any parts of your chair, like the footrests, to avoid discovering that your equipment is missing or has been damaged throughout the course of your flight. Check voltage conversions – Electric outlets are different in other countries, so you’ll need to have a powerful enough converter in order to charge your chair (if you’re using an electric model). Save yourself the stress by doing some research on proper converters before you embark so you don’t end up shelling out a crazy amount of cash in a foreign land just because your chair charger blew out. Write up assembly instructions – If your wheelchair needs to be disassembled for transport, make sure that it’s returned to you in the correct way by attaching simple assembly instructions. Under the Air Carrier Access Act, wheelchairs must be returned in their proper assembled condition, so this should make the process easier for everyone involved. And most important of all, don’t forget to enjoy yourself when you finally make it to your destination! If anything does happen to go wrong during your travel period, you can always talk to a Complaints Resolution Official at the airport to resolve any issues. You also have the option of filing a complaint with the airline or with the Department of Transportation concerning any access related issues. These must be filed within 45 days and 6 months, respectively, of the incident. What are some of your tried-and-true travel hacks for wheelchair accessible travel? Let us know in the comments below!